Text Y/N to confirm your purchase. Standard messaging rates apply. Yesterday Sony unveiled a new way to buy games and content from the PlayStation Store: cell phones. 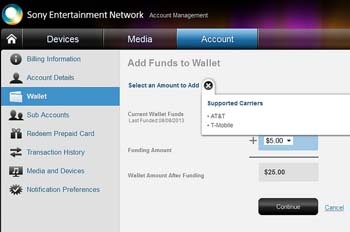 To add funds to your account, choose "Use Mobile" through the store or the Sony Entertainment Network website, enter your number, and respond to the text message to confirm. The funds are either debited to your next phone bill to your carrier or taken from funds in an applicable pre-paid account, depending on your phone plan. For people concerned about giving away credit card information, paying by phone is a more effective way of keeping your information safe. Carrier billing is only applicable to AT&T or T-Mobile accounts. Eric Lempel, vice president of Sony, wrote in the announcement, "With an unprecedented amount of digital content now available across the network, and new and convenient ways to fund your account, this is another step to make it easier for you to get the latest games, movies, and more for your PS3, PS Vita, PSP, all from PlayStation Store and Sony Entertainment Network online." 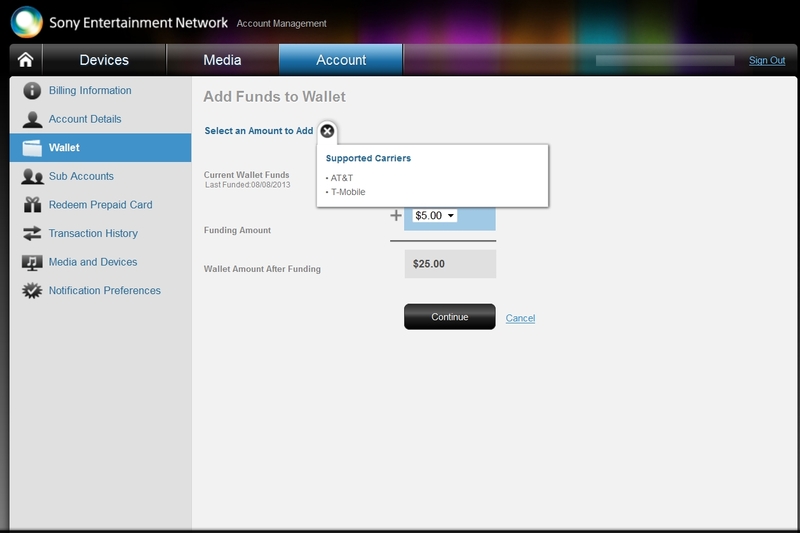 The funds can be used for purchases on the Sony Entertainment Network website and the PlayStation Store for the PS3. The funds go directly to your wireless bill carrier; therefore, you cannot use Google Play wallet credit or credits in the Apple App Store to purchase content from the PlayStation Store.